Burg-Manager, by Ingalex & Canopus0003, is a BUC-based program. The aim is an easy management of the BURG boot-loader through a simple and intuitive GUI, with no need to use terminal commands. -setting menuentries to boot some operating sistems directly from iso files. 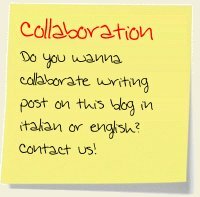 If you want to help us in developing this project, please contact us . Always new ideas or suggestions are welcome. Here you can see some screenshots about burg-manager. 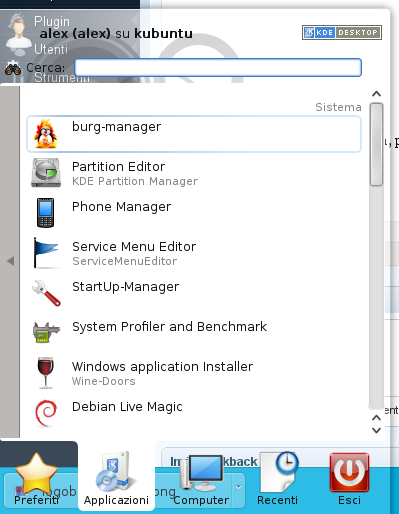 Once you have installed BUC, download the debian package of burg-manager for your architecture. Obviously as you can see the project is still in an “embryonic” state, therefore I’m not be responsible for any problem resulting from the burg-manager. Do you wanna be updated about new burg-manager releases? So join to the facebook fan page. I tried installing Burg-manager on Maverick. After install, I went to Applications>System>Burg Manager, it asked for root password. The application exits after entering the password. I confirmed that buc is the latest version. Just by chance, I tried running burg-manager with gksu, and the application started, as in the video. However, the buttons and tabs didn’t have any text or images, making it unusable. Please help how to correct this. 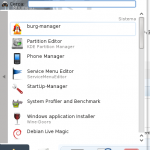 Do you have installed any previous version of burg-manager? Thanks. This was my first install of burg-manager. Still, reinstall worked. How to install themes? I tried double clicking on a theme in the theme manager, it flashed a terminal window for a couple of seconds and disappeared. Assuming that it installed the theme, I still got the same default options for themes in burg. I didn’t find the selected theme in the /boot/burg/themes folder. So, burg-manager didn’t download the themes. Could it be due to me being behind a network proxy? I have configured the bash terminal to use proxy in both my user and superuser. What else do I need to do? If you don’t find it, post me some error that appear into terminal. You can try to execute this command one by one to see if there is showed some error. In this way we can try to solve your problem. Connecting to http://www.sourceslist.eu|94.141.22.14|:80… failed: Connection refused. Bus::open: Can not get ibus-daemon’s address. So that is a connection problem I think that as you said it’s caused by proxy server. I suppose that proxy block connection when you download something using wget. This is very strange and mysterious. Burg-manager is executed as root, so also when themes are downloaded , they are downloaded as root. What have you done to set terminal to work with proxy server? It can be that it works as normal user but it don’t work as root. Try to execute wget as root. It works ? I am able to execute wget as root. Maybe burg-manager isn’t able to pass through proxy? I’ve added an ” export http_proxy 144.16.192.217:8080″ to the .bashrc file in my user and in the .bash-profile in root . What else can be done to make burg-manager pass through proxy? but you must be sure that 144.16.192.217:8080 is a working proxy server. On another note, won’t burg manager update themes available as and when a new theme is released? Also, can burg theme be set to random so every time it boots up, a different theme is used? There isn’t a setting for cycling themes. But you can create a little bash script that can be runned automatically using cronjob. Then you can count all lines of this list (we can suppose MAX=15). this is the name of the themes that must me setted. Then you can set the execution of this script with cronjob every hour. all of the above call my interesting of the burg……. what the principle of the burg, it’s consist always leaves me a miracle……..it’s mysteriou for me………. it gave me lots of funny….and the powerful function!!!!!! do you have NETBOOK friendly version ???? I tried installing Burg-manager on Maverick. After install, I went to Applications>System Tools>Burg-Manager, it asked for root password. The application exits after entering the password. I tried to purge it and reinstall, but with no luck. any ideas, suggestions? (yesterday I installed it with different instructions and I didn’t press space at the end of installation, so I ended up with Grub2 reinstall). yes I installed buc. 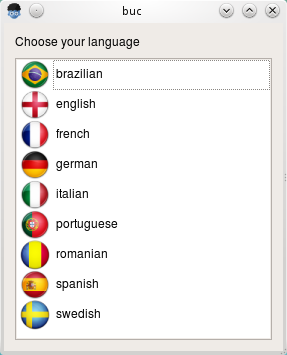 its under applications, but when I started it, it asks about some files which can be checked in wiki, but when I do so, it is all in language I do not understand. I have no idea what to do with it. sorry, i’m newbie in this. hello, i just sucessful installed burg manager, but when i go to burg emu, i don’t see the theme list. What error? 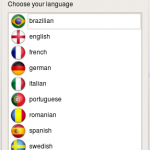 What Ubuntu version are you using? /usr/sbin/burg-probe: error: cannot stat `/boot/burg/locale’. sorry about the spam, i just forgot to tell you. I installed burg-manager in a laptop running natty. It works great. I am trying to install burg-manager in a second computer running natty with unity2d since it cannot run the full version. 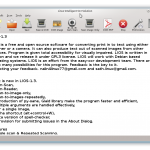 I am using the deb files, so ubuntu software manager is doing the installation. While installing the deb files ubuntu software manager tells me that the packages are of bad quality. I ignore the messages and install anyways. *when I click on ‘burg-emu’ nothing happens. *when I click on ‘Restore Burg into MBR’ nothing happens. *’Select default OS to boot’ is blank. 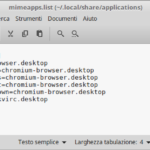 It does not detect my windows partition or my ubuntu partition. I would appreciate it if you could help me. The program is great. *’Select default OS to boot’ is blank. Can’t select my windows or ubuntu partitions. and obviously when I restart I dont have burg-manager. I think the problem is that Bean (author of Burg) has not created any repository for Ubuntu Natty. Burg-manager use command add-apt-repository to add this repository. I did what you suggested and everything seemed to work but when I pressed the burg-emu button now I have a regular grub but for maverick with no theming and when I restart the computer I get the regular natty grub which is different from the one I saw in burg-emu. Thanks a lot for the prompt responses. I will be using grub-customizer for now until burg-manager+burg are officially release for natty. Thanks again. Then you can use burg-manager to install new themes and to change setting. i have the same problem as Prabz in the first post. when i try to start burg thru the menu i give my password and the burg closes. but without any writing i see the tabs and buttons and everything else but no letters. but cant install burg again. When i install burg-manager from software center i have the same problem again. burg installation on natty doesn’t work because we haven’t setted any repository for natty. 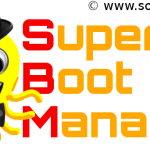 But soon will be released super-boot-manager, an evolution of burg-manager. super-boot-manager is able to configure burg, grub2 and plymouth. what have I to do to fix this? ?